Yes, it is the end of the Trillium season in the Southern Appalachian Mountains. Oh, you may find a few plants with perhaps a last seed pod this time of year. But, for the most part the Trilliums will be unseen until next winter, that is very late winter. Some start in February or in the extreme south even January. So, for a while I will be focusing on the nature of traveling rather than Trillium wildflowers. Yes, I will blog about Trillium all year but, perhaps far less until next Trillium season. One of our favorite places to travel is the Great Smoky Mountains National Park. I have selected one of the photos I shot in the Smokys this spring. In season, it is a great place to see Yellow Trilliums and wild orchids like the Yellow Lady Slippers. I will soon be visiting Greenbrier again as I always do for the enjoyment of any season. Perhaps I will find summer wildflower to blog about. 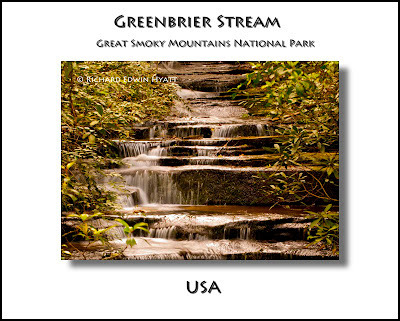 This is a cropped photo of a stream in Greenbrier. I often use Photoshop to process my photos. This one is right out of the camera without any processing except for the crop, frame, lettering and the drop shadows. It is rather unusual for me to publish photos without post processing to make them more like I saw when I was there. In this case, the lighting was great and so the colors came out very well without any other processing. Oh, oh! Made a mistake. Here is the revised photo. Different location. I travel so much locally I got mixed up. I left the text above as it was. Still fits for Greenbrier even if the photo is Rabun. 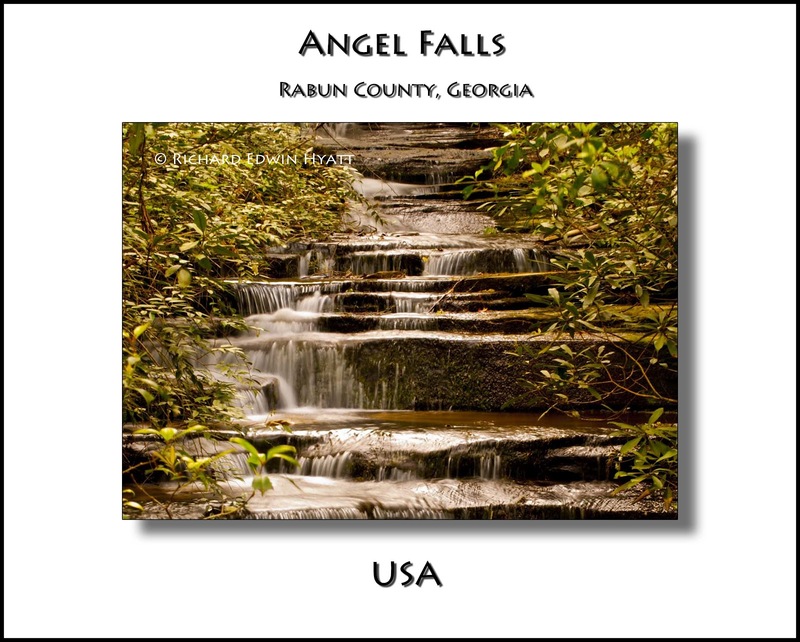 We did find Catesbys Trillium at Angel Falls.